We know that working with multiple vendors can get exhausting when it comes to keeping deliverables on brand. That's why 90 Seconds makes it easy for Creators to access your brand assets across all your projects. That means no more sifting through email attachments, hard-drives, or internal sites; once uploaded to your Brand page they will automatically link through to every single video project you create. 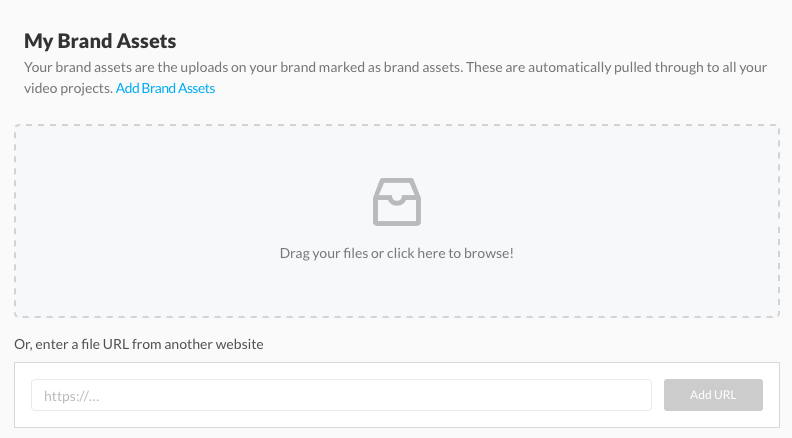 Simply navigate to your 'Brand' tab from your main dashboard, scroll to the bottom, and start uploading!